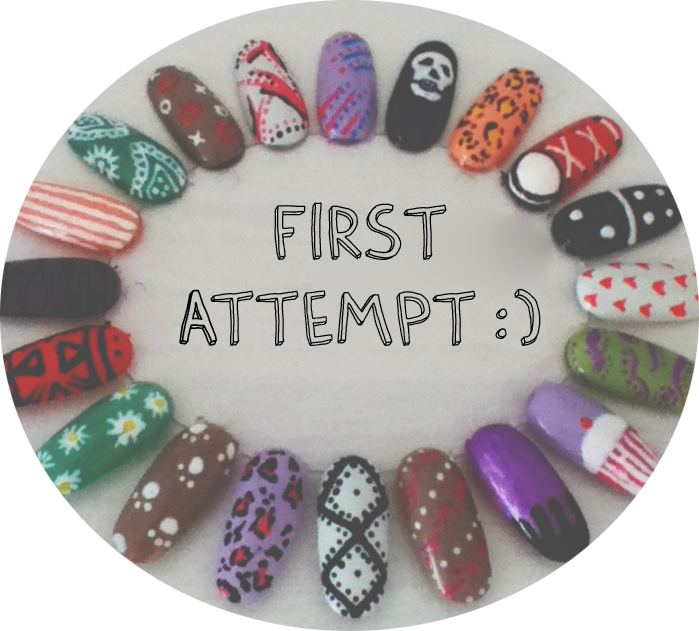 It feels like it has been forever since I last posted any nail art on my blog so I was pretty excited to put together this post! I was recently contacted by Rio Nails asking if I would like to do a review of their products - I very gratefully chose their neon nail pens. I was SO pleased with this parcel when it arrived -- I was just expecting a small little packet with loose pens in it.. like my normal eBay parcels. This was quite the opposite. It actually came complete with eight pens, glitter (and a brush to apply it less messily! 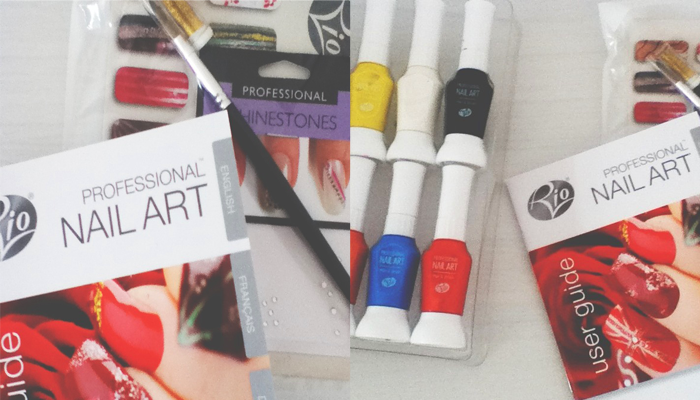 ), rhinestones, guides with nail art ideas and a CD for extra help. Even the packaging was very helpful to get me started with a few ideas of combinations of colours/patterns that could be used. I picked up a few nail wheels from eBay to experiment with; I decided to just stick to polish and patterns for my first wheel. I will be using the rhinestones and glitter in my next collection of designs! And here is my first attempt! I apologise for the quality of this photo, sadly the lighting wasn't so great in my room so some of the designs haven't showed up as well as I would have liked (the purple nail on the left is actually tiger print!). I combined inspiration from the 'WAH Nails' Instagram page with some of my own little ideas. I cannot emphasise enough how easy these pens were to use compared with my 99p ones from eBay. The nail polish flows out of the pens in such a fine line from the pen nib, meaning it's much easier to create smooth lines; a lot of my past nail art had to be redone after the polish had come out too thick for my drawings. For the likes of the white/lilac nails at the top of this image with flicks and spots, I used the thin paint brush in more of a sweeping motion. 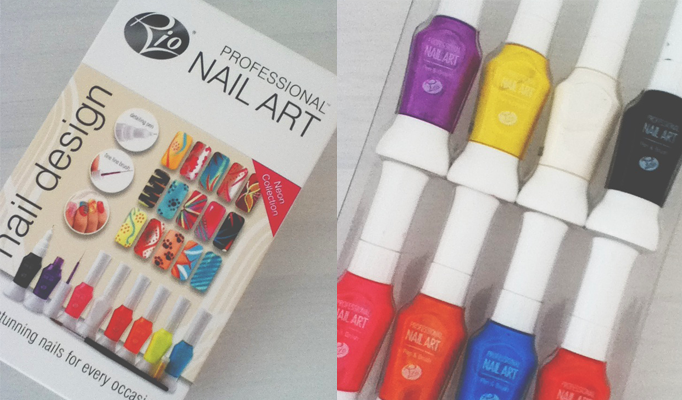 If you're a budding nail artist, or would merely like to practice with some cute prints for your nails, I would reallllly recommend picking up one of their professional nail art kits - they actually come in a variety of different colours if neon isn't what you're after (you can choose pastels, metallics and their original range too!). Since using this set, I'm really wanting to get my hands on the pastel set too, thankfully Christmas is just around the corner! WOW if that is your first attempt you are fantastic. thanks for sending your link via twitter after bbloggerschat. Ooh honestly, just keep doing it and you'll eventually get a design you're happy with! :) I have a nervous tremor so it's quite hard for me to draw straight lines, haha! your designs are so pretty !